Powerful acid formulation quickly removes all organic blockages. DRAIN OPENER PLUS immediately attacks the source of the blockage. DRAIN OPENER PLUS removes food waste, grease, proteins, body hair, soap scum, paper, cardboard, sanitary towels and other organic contaminants that cause blocked drains. Only a small amount of DRAIN OPENER PLUS is required to unblock most drains. 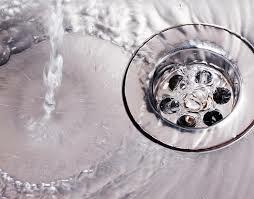 Remove as much water as possible from drain, sink or toilet before use to reduce heat generation. Pour slowly and carefully into the opening avoiding spillage. Allow to stand for approximately 5 minutes, then add a cup of water and allow to stand for an additional 5 minutes. Then flush thoroughly with water. DRAIN OPENER PLUS is a very strong acid, NEVER add small amounts of water to the product as violent heat reactions may occur. Do not use on stainless steel or light alloys. Do not use on damaged stoneware or porcelain. To prevent further blockages, dose the drain with approximately 200ml of DRAIN OPENER PLUS every 4 – 6 weeks.